His Excellency Dr. Nikolaos van Dam: Whether or not a political solution is still possible depends on the main parties to the conflict, both Syrian and foreign, involved directly or by proxy. The aims of the warring parties are so wide apart, however, that reaching a compromise seems to be extremely difficult, if not impossible, particularly because the opposing parties actually keep preferring to eliminate one another. This provides more fertile ground for a military “solution”, which in the end, however, will not turn out to be a durable “solution” but rather a reflection of the military balance of power. What might perhaps have been achieved through dialogue between the regime and its opponents in the earlier stages of the Syrian Revolution, became more and more difficult later on with all the killing and destruction that occurred. The longer the war lasted, the more difficult it became to negotiate and reach any compromise. The mutual hate between the conflicting parties is immense. There was, of course, not any guarantee of success with the dialogue I have suggested for over seven years, but rejection of any dialogue was a guarantee for failure, as we have seen over the past seven years. Most of the Syrian opposition at the time were not able to accept any compromise with the regime, not only because of their extremely hostile feelings and negative emotions towards the regime, but also because they still expected to receive strong foreign military and political support, as happened in Libya, which caused the fall and death of Libyan leader al-Qadhafi. The other way around, the regime abhorred the thought of having to share power with those who tried to topple it and wanted to bring its most prominent representatives before international justice. One might argue that the regime has never been interested in any dialogue whatsoever that could have led to drastic political changes or reform, but it has – in my opinion – not been tried long enough. The serious efforts in the beginning should have been continued. Sometimes one should even make a serious effort if one is not fully convinced of the possibilities of achieving success. Various countries, including Turkey, Saudi Arabia, the Arab League and others, indeed made serious efforts to help finding such a solution in the beginning. But as from August 2011, various foreign leaders, including US President Obama and others started to call for President Bashar al-Assad to step aside or step down, and most of them have continued to do so time and again ever since, albeit more recently with some variations and changes. Many foreign politicians naively expected president Bashar al-Assad to voluntarily step down as president of Syria, after all kinds of atrocities the Syrian regime reportedly had committed against the so-called peaceful demonstrators and, later on, against military opposition groups. They, together with the main Syrian opposition groups, wanted al-Assad to voluntarily sign his own death warrant, because the legal president of Syria, in their view, had lost his legitimacy. It was completely unrealistic, however, in the sense that what they wanted to happen – even though it might have been justified on basis of their views of justice and rightfulness – certainly was not going to happen in reality. The alternative was to militarily defeat the Syrian regime. But direct military intervention at the time was rejected in the Western democracies involved, just as well. Nevertheless, by way of an alternative, various Western and Arab governments chose to militarily intervene indirectly, by arming, financing and politically supporting the various Syrian opposition groups. This turned out to be enough to bring the regime in a delicate military position, but not enough to topple it. Later on, various countries also started to militarily intervene directly. Most Western and Arab governments have claimed time and again that they wanted a political solution, and this was true in principle. But they only wanted a political solution that would lead to regime change, and this turned out to be impossible without sufficient military means. The results of indirect military intervention have been just as disastrous as direct military intervention would have been: notably almost half a million dead, millions of refugees, a country in ruins and a nation destroyed to a great extent. You wrote a major book that I consider very important to understand what is happening in Syria “Destroying a Nation: The Civil War in Syria“ translated among others into Arabic. Do you think we could have avoided the catastrophic scenario that happened in Syria? If yes, how? One of the key questions in this book is whether or not the bloody war in Syria could have been avoided, and whether it could have been expected. My answer is that it was unavoidable and that it could have been expected. What could not have been predicted, however, were the disastrous effects of the so-called Arab Spring and the foreign interference in the Syrian War that started in 2011. Already long before 2011, we have seen how on numerous occasions the Ba’th regime dealt in a ruthless way with any threats against it, whether these were imagined or real: people opposing the regime were imprisoned, tortured, killed, assassinated, or committed ‘suicide with more than one bullet’, or were dealt with by other repressive means. A brutal dictatorship with such characteristics and behaviour like the Syrian Ba’thist regime, could not realistically have been expected to give up power voluntarily as a result of peaceful demonstrations, like those that started with the Syrian Revolution in 2011. Neither could the regime realistically have been expected to voluntarily give up its power as a result of a fierce war-by-proxy on Syrian territory, which was encouraged and militarily and financially supported by regional proxies, like Turkey, Saudi Arabia and Qatar, or Western countries like the United States, Great Britain and France. I predicted more than two decades ago in my earlier book The Struggle for Power in Syria – and it was not that difficult to predict – that any effort to effectuate regime change was (and is) bound to lead to enormous bloodshed. And this is what we have seen during the years since the start of the Syrian Revolution and are still witnessing today. Those who did not expect such a huge bloodbath, either did not know enough about Syrian history, or they were suffering from an overdose of wishful thinking, or both. As could have been expected, the Syrian regime seized all possible means to stay in power. Its strategy of temporary alliances with the aim of monopolizing power has been repeated on various occasions ever since 1963 until today, also during the Syrian War that started in 2011. It did not always matter to the Ba’thist rulers whether they formed alliances with other parties that were not at all ideologically close to them, or even with parties that were in fact their enemies, as long as they could achieve their principal aim, which was staying in power and monopolizing it. It was the end that justified whatever means. Had the Western and Arab countries not interfered with their arms shipments and military support against the Syrian regime, there would, of course, also have been serious efforts of the Syrian opposition to topple the regime, inspired as they were by the developments in Tunisia, Libya and Egypt. After all, the leaders of these three countries had been toppled after massive demonstrations, and, in the case of Libya, after direct military intervention. Without foreign interference, however, the opposition insurrection would most probably have been violently suppressed much sooner, as a result of which much fewer deadly victims would have fallen; there would not have been as many millions of refugees as there are now, and the country would be less in rubble. Yes, the Syrian dictatorship would have continued relentlessly just as well, but it is also continued now, albeit it under circumstances that are much worse. In my view, it would have been better for foreign countries to back off in the Syrian War and stay outside of it, rather than to try to impose a solution with insufficient military means, with the disastrous consequences as we know them today. I find your article written in May 2014 “Syria: The West Should Stop Raising False Expectations” still relevant. In your opinion, was not the West’s aim to change the Al-Assad regime without having a specific plan, which led to the current chaos? Even after seven years of bloody war, and some 500,000 dead, many Western and Arab politicians still tend to be blinded, to some extent at least, by wishful thinking, as a result of which they officially keep approaching the conflict in Syria from a supposedly moral high ground. They have not been prepared to accept the basic reality, that with a limited will and limited means only limited goals can be achieved. Various Western and Arab politicians have thereby indirectly helped the war to continue with all its dead, refugees and destruction. I am not aware of any clearly defined plan of Western and Arab countries to help achieve a political solution. Yes, there are, of course, specifically defined principles and aims, some of which have been defined in the Geneva Communique (2012) and UN Security Council Resolutions, like UNSC resolution 2254, but there is no clear plan on how to specifically achieve the proclaimed aims in a peaceful manner in practice, taking into account the positions of the parties involved which turn out to block any political compromise. In fact, the war was initiated (in reaction to the atrocities of the regime) without, however, sufficient means and planning that this war against the regime could also really be won. Before engaging in the war, interfering foreign countries should have sufficiently studied the military situation in order to be sure that their Syrian allies had a realistic chance of winning it; but they apparently did not. In order to be able to defeat and kill a lion, one should be sure beforehand to be the stronger and the better armed party, so as to prevent being defeated and killed oneself. What do you think of the retirement of the Iranian nuclear agreement by Donald Trump and what, in your opinion, will be the impact of such a withdrawal on the region? The withdrawal by US President Donald Trump from the nuclear deal with Iran is extremely dangerous, particularly also because the US position additionally appears to be aiming at a kind of regime change in Iran. So-called “experiments” with “regime change” elsewhere have more often than not turned out to result in disasters. The examples of Afghanistan, Iraq, Libya, Syria and Yemen (not to mention Vietnam, Laos and Cambodia) should be clear enough, but various Western and Arab politicians turn out not to have learnt any lessons from it. The US wants to negotiate a new nuclear deal with Iran, but only if Iran is going to do exactly what the US demands, and I do not think it is realistic to expect that this is going to happen. There is the recurring phenomenon that when politicians want more than they can realistically get, they in the end turn out to have less than they originally had. Therefore, it is much better to keep the present nuclear deal with Iran intact, than to try to replace it at the cost of further violence and destabilization in the Middle East. Do not you think there is a risk of a direct confrontation between, on the one hand, the United States and its allies Israel and Saudi Arabia and, on the other hand, Russia and its allies such as the Iran? With the exception of some politicians in Israel, I think most of the mentioned countries want to avoid a direct military confrontation with Iran, but present US policies may nevertheless result in such a confrontation. In Syria there is already the danger of military confrontation between the US and Iran, and between Israel and Iran, not to mention military confrontations between other parties militarily present in Syria and the wider region. You are a experienced diplomat who knows the Middle East very well, do you not think there should be a political solution to the war that Saudi Arabia is waging in Yemen? Of course, there should be a political solution to the war in Yemen. This war, however, is yet another example of the disastrous results of foreign military intervention, which in turn undermines the prospects for a compromise among the Yemenis themselves. Military intervention of one country in Yemen (in this case Saudi Arabia) may trigger military intervention by proxy of other parties supporting the side that is attacked by Saudi Arabia. Should not Europe play a geopolitical role in the region that could avoid a war? The European Union should of course play a political role to prevent further war in the region, but it lacks the military capacities to impose it. And imposing solutions does generally not work if the directly involved parties themselves are not sufficiently willing to cooperate. Do you think that the Europeans who are staying in the Iran nuclear deal can fill the void left by the Americans? The European Union does not have the military capacities to fill the void left by the Americans. It is the Americans who should stick to the deal they co-signed themselves. In your opinion, is it not time for a multipolar world where powers such as the European Union, China and Russia should be involved so as not to let the Americans decide alone on the future of mankind? This is easier said than done. All this depends to a great extent on the military and economic power of the countries involved, and most of all on their political leadership. It is the people of the United States who have democratically chosen the American president, not necessarily on themes of foreign policy but rather on basis of domestic issues. Nevertheless, the American president, after having been democratically elected in his own country, is deciding in an authoritarian way on a lot of foreign issues over the heads of non-American peoples who have not had any say in his election. The American president is fulfilling his domestic electoral promises by withdrawing from the nuclear agreement with Iran and by moving the US embassy in Israel to Jerusalem, and thereby in a so-called “democratic” way violates international law and international agreements. International law and agreements should have priority over domestic electoral promises. As a diplomat, you have known a country like Libya that has now become a sanctuary for terrorists, endangering all the countries of North Africa and the Sahel. Can we hope for a political solution to the Libyan crisis and what, in your opinion, are the countries that could play a key role in the political process? The military intervention of Western and Arab countries has contributed to a further civil war in Libya, which has lasted now for over seven years and has strongly divided the country. It gave rise to further terrorism, further instability in the region, a wave of refugees coming through Libya to Europe, slave trade among refugees, and so on. Foreign military intervention in Libya under the United Nations principle of The Responsibility to Protect, would have required a multi-year huge military operation, for which not any Western country has been prepared. This is one of the reasons why it would have been preferable not to militarily intervene in Libya, because (like in Syria, Iraq and Yemen) it has turned out to be a disaster. A political solution will probably only be possible if the main parties accept one common leadership, but they all want to dominate themselves. Therefore, it is difficult to clearly identify the countries that could play a key role in the Libyan political process. It should be a Libyan-led and Libyan-owned political solution, in which the United Nations could play an intermediary role. Do not you think that by not respecting the Iranian nuclear deal, the United States may lose all credibility and not be able to conclude other agreements and treaties in the future? The United States’ withdrawal from the Iran nuclear deal has made it even more difficult to conclude reliable future deals in which the US is involved. In fact, however, the United States already lost some credibility long before. For instance, in the so-called Middle East peace process, the US never has really been an honest broker, due to its pro-Israeli position, which is partly a result of the strong pro-Israel lobby in the US. Nevertheless, the US remains a key country which is needed to help realize a political solution, just because it has the means to force Israel into a compromise with the Palestinians. Another example is that president Obama did not act against the Syrian regime after it reportedly used chemical weapons in summer 2013, thereby crossing US President Obama’s so-called ‘red lines’. The United States did not react militarily, although it had been suggested it would. This seriously undermined US credibility and demonstrated that its threats had no teeth. All-out military intervention in Syria would have been unwise in my opinion, taking into account the possible grave consequences (as happened in Iraq after the US–British military intervention of 2003 and in Libya in 2011, as well as in Afghanistan). Threatening with military intervention, however, albeit only implicitly, and subsequently not carrying it out strongly undermined the credibility of the United States, and Western countries in general. It, moreover, gave the Syrian regime the impression that it could get away with almost anything. 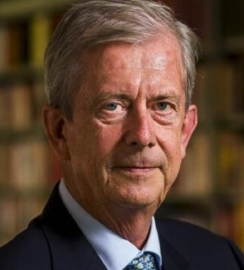 * Dr. Nikolaos van Dam is a specialist on Syria and the Middle East and a former Ambassador of the Netherlands to Iraq, Egypt, Germany and Indonesia. He is the author of various books, including: Destroying a Nation: The Civil War in Syria, London & New York (I.B. Tauris), 2017, also available as e-book; The Struggle for Power in Syria: Politics and Society under Assad and the Ba’th Party, Fourth Edition, London & New York (I.B. Tauris), 2011. A different take on the subject. Lessons learned? It doesn’t seem that anyone has. What does seem to be, the U.S.A. warmongers, or what ever one calls them, has/is being manipulated in ruining the lives of weaker countries, because it can. In times past, it was through financial doings, violence being down on the list. But like that powerful drug grown in Afghanistan and distributed throughout, so too is the use of token U.S. military engagement, with the added proxy s from the other despots in the area. The P.R. of the west/Israel, pointing fingers toward the barbaric Muslims, of which is properly due, doesn’t excuse the fact that if those who finance with arms of all types, are free of the dirty business this war on terror has produced. Make the innocent pay the price, is cowardliness, but necessary according to the powers to be. As the profits of war pay the few, at the cost of the many, we have seen how to destroy whole countries and the burden put upon them through the flow of victims escaping from the violence, keeping the death toll down. History repeats itself over & over without end.